Spizzles Elk Antler Dog Chew are naturally shed, incredibly nutritious chews that provide a safe and long-lasting chew experience that your pooch won’t soon forget! These appetizing antlers are the ideal alternative to difficult-to-digest rawhide treats and potentially perilous animal bones. Each antler is packed with protein, calcium, and phosphorous to keep your pet’s bones, blood, nerves, and muscles healthy. 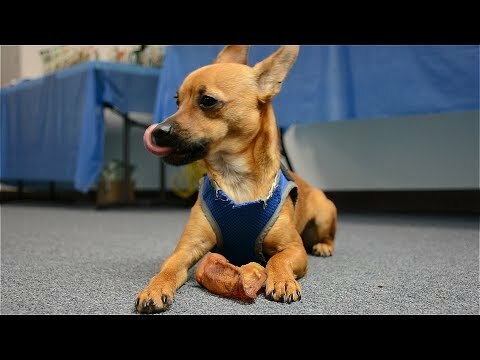 Spizzles Elk Antler Dog Chews are available in two styles to offer two unique chewing experiences that are perfect for any dog. 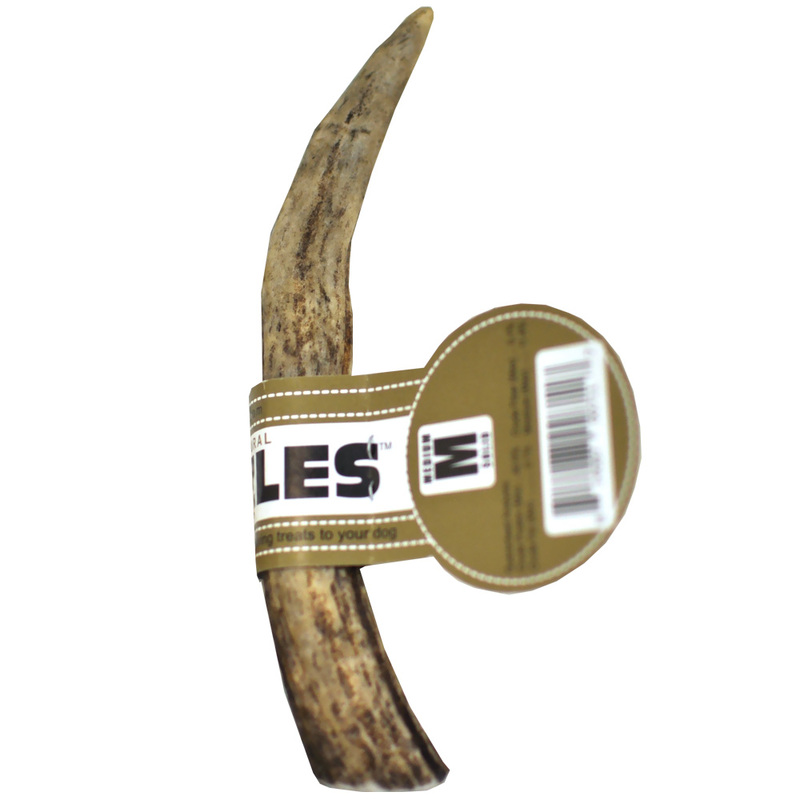 Center-Cut antlers are split down the middle to create a softer chew for times your dog is seeking a more malleable treat. For more fervid chew sessions, whole antlers offer a tough texture that is sure to stand the test of time. Both types of chews are available in a variety of sizes to accommodate any dog. Order this unbeatable chew treat for your dear dog today! 2.4 times as tough as regular "wet bones"
Testosterone in bucks initiates antler growth. While growing, a fuzzy skin called velvet covers the antlers, which is sensitive to the touch and rich in blood vessels. This velvet helps supply the antlers with essential nutrients for rapid growth. Finding antlers in the wild is rare. Antlers, once shed, don't last very long- because they are so full of nutrients, they are quickly eaten by rodents or other animals. Our Spizzles antlers are all Grade A (#1) antlers, meaning that they have been collected in the past year as fresh drop. This ensures that they maintain their brown color and consistency compared to Grades B (#2), C (#3), and Chalky.